Luc Schurgers and McCoy’s unleash Mexican madness! HunkyDory’s Luc Schurgers adds a record-spinning donkey to his oeuvres menagerie in this spot for new McCoy’s Muchos through WCRS. When a couple introduce new McCoy’s Muchos to their snack time, it starts a domino effect of Mexican madness that transforms their quiet home into a carnival. Grappling luchadors, mariachi, dancing señoritas the aforementioned DJ Burro set the tone for the piece, all brought together with Luc’s textbook comic timing! HunkyDory’s Damien O’Donnell teams up once more with Grey London and TV host and architect Dermot Bannon to bring you the third instalment of their Vodafone Gigabit Broadband campaign. 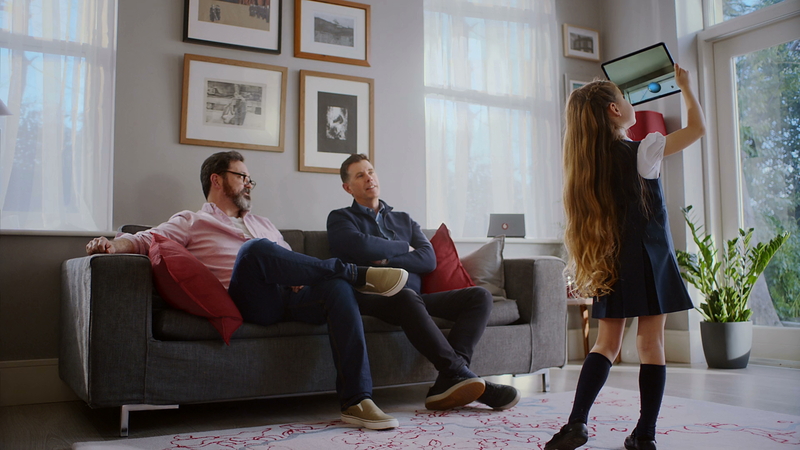 The latest film ‘Homework’ finds a father and daughter pondering the wonders of the solar system with Dermot and Vodafone Gigabit Broadband on hand to help when the questions get too tough for dad to bluff his way through! As ever, Damien’s comedic touch is on full display with great casting, charming performances and trademark warm storytelling. Three new additions at HunkyDory! 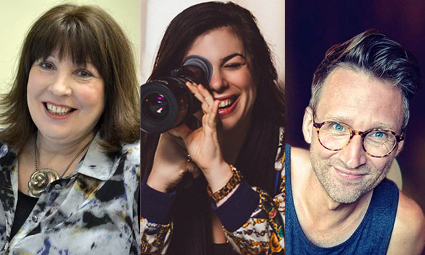 We're very excited to welcome three new additions to our line-up of directors; Victoria Pile, J.J. Adler and Sune Sorensen. Award-winning British comedy writer and director VICTORIA PILE (Left) returns to the world of commercials after a spell developing original comedy in the UK and America. Victoria devised, produced, co-wrote and directed the double Emmy award-winning sketch show Smack the Pony and the BAFTA-winning comedy Green Wing for Channel 4, then followed them up with comedies Campus (also Channel 4) and The Delivery Man for ITV. When it comes to commercials, Victoria brings a wealth of comedic experience and an eye for brilliant casting, pitch-perfect performances and impeccable comic timing. She has directed campaigns for Direct Line, Maltesers, Seat, Stoptober and Albert Bartlett. Comedy director J.J. ADLER (middle) was a founding creative and head director at The Onion’s Peabody Award-winning series The Onion News Network. J.J. also co-executive produced and directed season 1 of The Onion’s IFC TV series of the same name. Known for her caustic wit and dry comedy, J.J.'s talent was on full display with the Cannes Lion-winning “Girls Who Code,” a biting satire that calls out gender stereotypes in the tech world. She has also directed spots for Geico, Samsung, Virgin Mobile, McDonalds, Hyundai, Tinder and Bayer. SUNE SØRENSEN (right) is a passionate filmmaker with an encyclopaedic knowledge of cinema. At the heart of everything Sune does, lies a devotion to genuine, clever storytelling and film craft. Beautifully observed and crafted performances are central to Sune's work alongside a rich and cinematic aesthetic. Sune has been recognised at Cannes and D&AD in a career that has seen him produce work for such worldwide brands as Volkswagen, Ford and McDonald's. Volkswagen - Generations from HunkyDory Films on Vimeo. HunkyDory are incredibly excited to welcome Bobby Farrelly to the roster! As one half of directing duo The Farrelly Brothers, Bobby Farrelly is responsible for some of the most iconic comedy moments of the last 25 years. Kingpin, Dumb & Dumber, There's Something About Mary and many more make up a stunning CV that includes collaborations with such Hollywood luminaries as Jim Carrey, Bill Murray and Cameron Diaz to name just a few. Hit the image to view Bobby's reel! HunkyDory are delighted to welcome Fogg to the team! Fogg is a director, writer and stand-up comic with fifteen years experience in the world of commercials. Like West-coast hip-hop, Fogg started making waves in the 90’s, but he survived the game and today, like an attendant in a Michelin starred toilet, he continues to pump out high quality product. At the tender age of nineteen he was producing mega-budget miniseries for US Television, but even back then he knew his destiny was to make first class comedy. He returned to London, got an MA in directing from the National Film School, won the Kodak commercial award for a blindingly good Toblerone advert and never looked back. When he’s not on stage slaying audiences, he enjoys eating patisserie and watching American football. In 2005 he trained in Improv at the IO theatre in Chicago, and he teaches long form with Monkey Toast here in the UK. Most importantly, he was, at one point, the 12th best Championship Manager player in the world. Hit the image to see Fogg's reel! 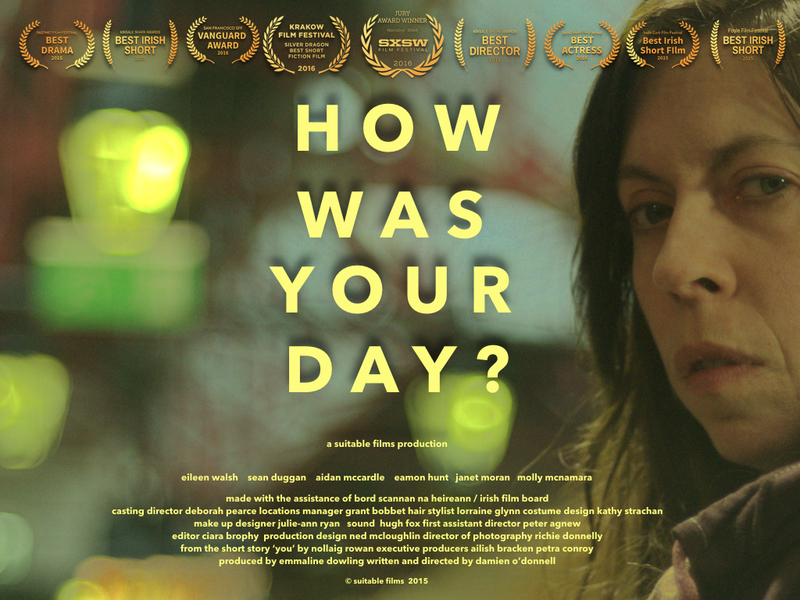 Damien O'Donnell's short drama 'How Was Your Day?' has been made a Staff Pick at Vimeo. The film tells the story of a woman excited about the approaching birth of her first child and goes on to question the presumption of motherly love. It has already gained recognition at festivals winning Best Narrative Short Film at SXSW 2016, Best Director at Kinsale Shark Awards and the Vanguard Award at the San Francisco Short Film Festival among others. We are very happy to welcome Neil Linpow as our new Head Of Sales. Neil joins us from Bootleg Films where he was Head Of New Business, responsible for signing big name directing talent and producing top quality work during his time there. HunkyDory's Charlie Thorne and James Brown have received nominations at the 2017 Scottish Creative Awards. 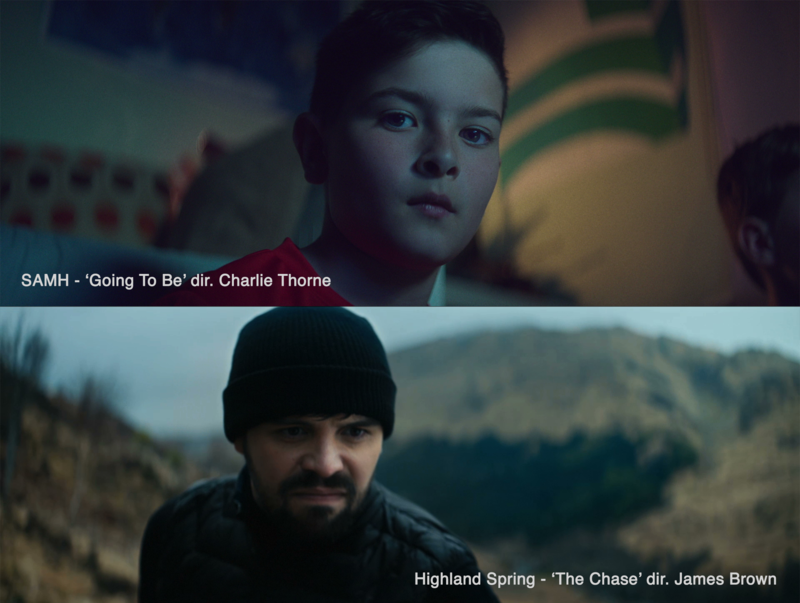 Charlie's powerful SAMH campaign 'Going To Be' picked up nominations across three categories including 'Online Video / Film', 'Commercial Over 21 seconds' and 'Commercial for TV / Cinema' while James Brown's action-packed Highland Spring spot 'The Chase' was recognised in the 'Commercial Over 21 seconds' and the 'Commercial for TV / Cinema' categories. Good luck to both of them when the winners are revealed on the 26th September! We are excited to welcome Luke Franklin to our directors roster! 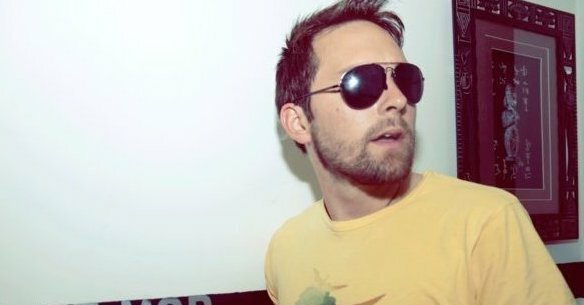 Luke got his start at Moxie Pictures where he developed a confident, observational filmmaking style with a real emphasis on truthful storytelling. No more is this in evidence than in his recent moving film for Pampers 'Little Fighters', which was shot on location at Southampton Hospital's neonatal unit. 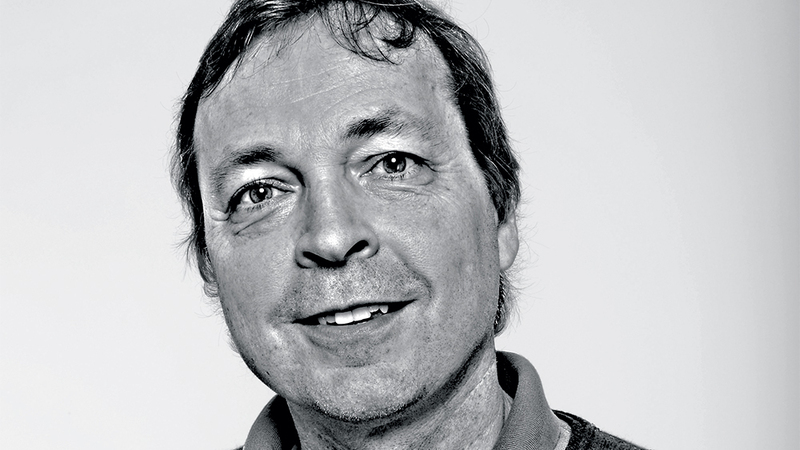 This innate ability to capture people and their stories with real authenticity has seen Luke build a strong body of work including campaigns for such big brands as McDonald's, Tesco, Sainsbury's and Asda. HunkyDory MD John Doris had this to say on Luke's signing "We’re delighted to have Luke join the HunkyDory ranks! He is a gifted young film maker who captures observational stories and slices of modern British life quite brilliantly." Click the image to see Luke's reel. HunkyDory sign award-winning comedy director Jack Clough! We are very excited to welcome Jack Clough to our roster of directing talent! 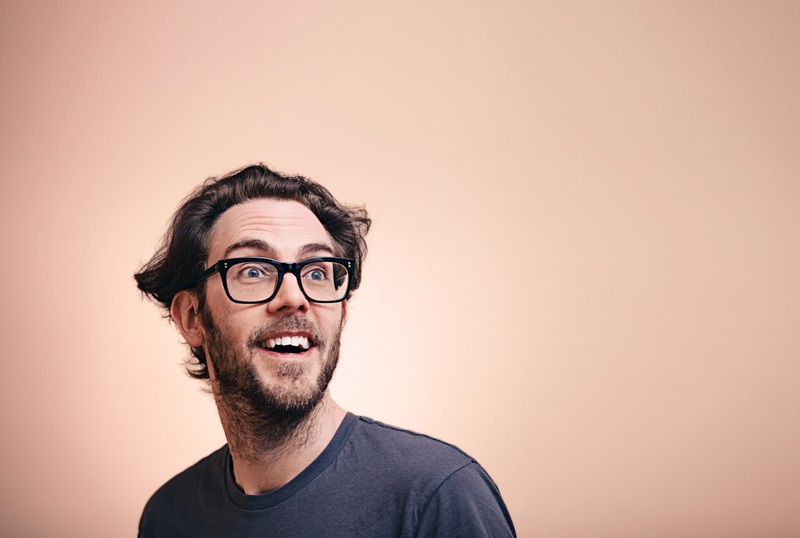 Jack is best known as the director of BBC Three's multi-award winning comedy 'People Just Do Nothing'. 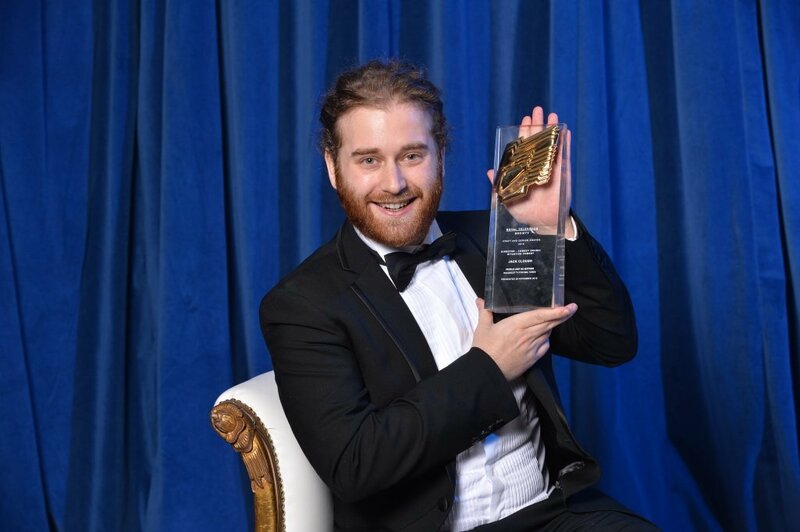 Directing every episode of the show, Jack has overseen 'People Just Do Nothing's' phenomenal success, winning a 2017 BAFTA for Best Comedy, an RTS Craft & Design award for Best Director of a Comedy Drama / Situation Comedy and an RTS Award for Best Scripted Comedy. He has just finished shooting on People Just Do Nothing Series 4, and has also taken on a producing role in addition to directing. He has also recently shot a teaser for Me & You Productions, and directed a Guz Khan short for them / Sky. HunkyDory's John Doris had this to say on Jack's signing "I’ve admired Jack’s work for ages, he is such a talented young British director. I loved his Skins work, and People Just Do Nothing has really become a national favourite with Jack executing brilliant comedy performances in every single episode. We got together over a cuppa and he said he’d really like to get into creative commercial projects with HunkyDory. It's a massive coup to have him on board!" Hit the image to see Jack's reel!